Fixed Bridges: Who Needs Them And What Are The Benefits? Aug 20 Comments Off on Fixed Bridges: Who Needs Them And What Are The Benefits? You do not have to live with an unsightly gap in your mouth when you lose a tooth (or two or more). Depending on your overall oral health, if you have lost a tooth, whether due to localized decay or to injury, there are many tooth replacement options to consider that will ensure you can face the world with a confident smile again. One of those options is a fixed bridge. Dental bridges, also called ‘fixed bridges’, are artificial teeth that are bonded together and fixed to caps on the two teeth on either side of the gap – whether the gap is as a result of a single missing tooth or because of two or three missing teeth. Fixed bridges are the perfect aesthetic and practical solution to tooth loss. And, if it is performed by an experienced dental surgeon such as Dr. Ralph Bastian, people won’t even notice that you have a bridge at all. However, fixed bridges are not suitable for everyone. Extensive bone-loss due to periodontal disease. Sudden traumatic tooth loss caused by injury. Although dental implants are an option for such candidates, fixed bridges are advantageous in several ways. One of the foremost benefits is the dental bridge cost: up to half that of implants. Fixed bridges take far less time to manufacture than implants. While implants can take anywhere from 9 months to a year to manufacture, a fixed bridge can be manufactured in less than 3 weeks. Fixed bridges can help stabilize the abutment teeth (particularly advantageous in the case of a traumatic injury that may have loosened or damaged them). 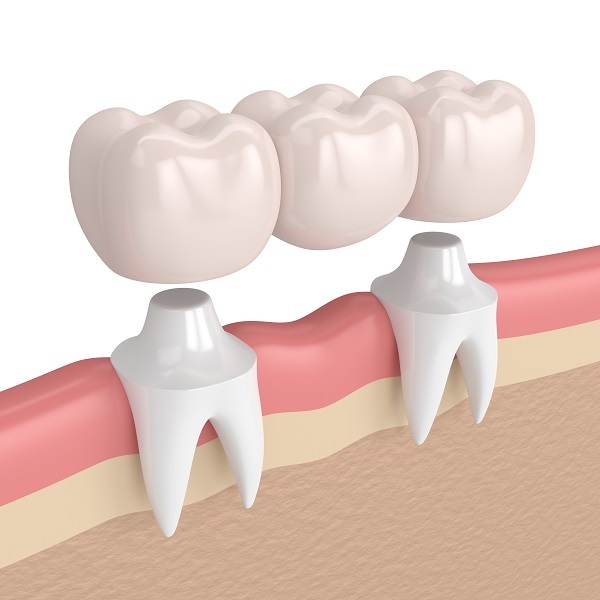 If only one tooth is missing, a fixed bridge can ‘close the gap’, while strengthening the abutment teeth. A fixed bridge can be fitted by a dentist, without invasive oral surgery, and under local anesthetic. Aesthetically, fixed bridges can look better than implants and often better than the original teeth. Do you need to book a dental procedure or do you want to find out more about fixed bridges? Visit a leading dentist in Peterborough to get the quality dental treatment plan you need. Contact Dr. Ralph Bastian for more information today.